In this competition, participants will create Chinese language mobile learning apps targetted at early learners, e.g. pre-schoolers and lower primary students. Winning teams will have their apps selected for further development and publishing onto the Apple App Store and the Google Play Store. $10,000 worth of attractive prizes will be awarded to all winning teams! 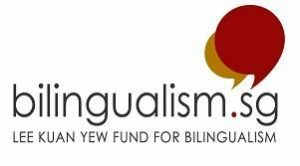 This project is organised by the Singapore Centre for Chinese Language, and commissioned by the Lee Kuan Yew Fund for Bilingualism. The competition is open to all secondary, pre-tertiary, and tertiary students in Singapore. Participants will propose and prototype learning apps designed for pre-schoolers to learn Chinese language. Secondary Category participants can attend free training on basic app development; training is optional for Open Category participants. Download the full list of winners here, and look for download links to your apps here. How many winning teams will have their apps selected for publication? We will select 20 teams, though this number is subject to change, depending on the overall quality of submissions. Do participants in the Secondary Category need to know how to code before entering the competition? For the Secondary Category, participants need not have any prior coding experience. As long as space allows, all signed-up teams will receive two afternoons of training in basic app development in Thunkable, a block-based app development platform suitable for beginners. During the preparation period from November to March, participants will receive access to app development consultants, who will provide broad guidance on participants’ apps. Do participants in the Open Category need to know how to code before entering the competition? Will participants have to use the same tools as those in the Secondary Category? For the Open Category, participants will be expected to code their own app prototypes, on any technology platform you are comfortable with—you do not have to use Thunkable, although you can if you want to. Open Category participants can also seek advice from the app development consultants from November to March, subject to the consultants’ knowledge of your technology platform of choice. My Secondary School team has programming experience, and does not want to use Thunkable. Can we join the Secondary Category? Experienced Secondary School students with programming experience should enter the Open Category to use your platform of choice. Do participants need to know the Chinese language very well to do well in the competition? As the apps are targetted at pre-schoolers just beginning to learn the Chinese language, participants need not be experts in the language, although a good understanding will help! Who can I get in touch with, if I have any questions? You can email appcompetition2018@sccl.sg, or call during office hours at 64675667. Where will the briefing and training be held? Due to overwhelming response, the briefing and training will be held at Hwa Chong Institution Auditorium, at the Clock Tower Block of the High School Section (Google Maps link). Subsequent briefings or meetings will likely be held at the SCCL Campus, at 287 Ghim Moh Rd, Singapore 279623 (Google Maps link).